Looking for a convenient, reliable, free online storage solution? Worrying about the safety of your computer files? Want to backup hundreds of files with just a drag and drop? NOTE: Cloud Drive is NO LONGER FUNCTIONAL due to Acrobat has stopped their cloud storage service. And we have no plan to continue working on Cloud Drive. 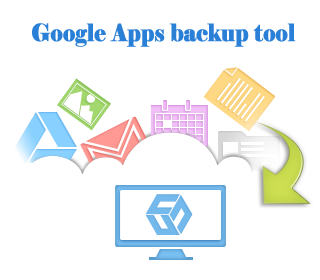 Currently, we are working on a Google Apps backup product, CubeBackup, which can secure your business data in Goolge Apps with a local storage. Cloud Drive is a free client software for Adobe Acrobat Online Storage Service, which offers 5GB free online storage for each account. Although Adobe Acrobat, like most other cloud storage solutions, offers file uploading and downloading feature, but it does not allow folder uploading! Furthermore, uploading bunch of files can take hours to finish, during which time the webpage cannot be closed – quite the inconvenience! Cloud Drive enables you not only to upload/download groups of files and folders, but it does so silently and in the background, without cluttering up your taskbar with one more browser, or one more open window getting in the way. It works with a simple drag and drop. And, what’s more, it is 100% FREE. We recently decided to open the source code of Cloud Drive to help more programmer to understand how to communicate with online service. read more..
BTW: This Cloud Drive is based on Acrobat’s service, and has no relationship with Amazon Cloud Drive. Actually, we released Cloud Drive a year and a half earlier than Amazon Cloud Drive. For programmer,the source code of Cloud Drive is available for free now. Cloud Drive won “The best free software of 2010” by PC Magazine. Folder related operations are broken due to Acrobat’s unstable service. We have upgraded it to GDocsDrive.